What was it like, living in a tiny hillside village in your great-grandparents' day? Perhaps your ancestors lived here, above busy Keighley town? 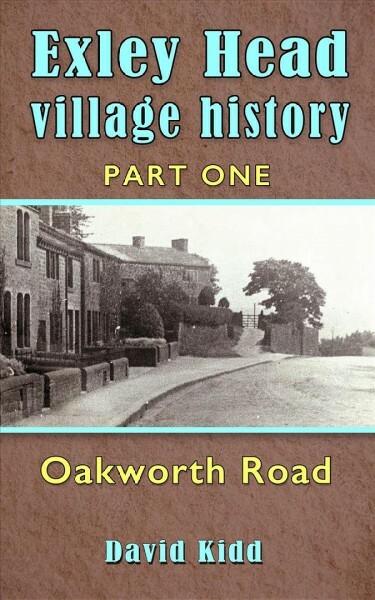 This fascinating guidebook, in four parts, recreates the flavour of life in a hamlet overlooking Worth Valley in West Yorkshire. Part One includes the families Barker, Bolton, Brogden, Clapham, Feather, Jowett. Laycock, Lister, Midgley, Pickard, Steel, Whitfield and a dozen more. We praise those who converted the common land of Branshaw Moor into good farmland by pure manual labour. They created soil of lasting value yet were themselves never far from poverty and the Workhouse. Indeed, in 1834 the speech of the visiting Commissioner of the Poor Law Amendment Act so infuriated the populace that he had to flee, clothing torn, amidst shouts and hisses. But we also value their social get-togethers, their joys, relationships and farewells. In our big group photo, celebrating the Coronation in 1953, one hundred and twenty of us have been identified. Is that your great-grandma with her playmates? Did she tell you they dared each other to paddle through a little tunnel under Oakworth Road? This book is unique in that it proudly records every ancestral family through generations, with dates in searchable lists, along with pictures of the houses where they lived. But also all records their life experience: the cricket pitch up Occupation Lane, their Grammar School three centuries before Oakbank School. To re-create the unique taste of life in this old village, join our tour of historical landmarks guided by photos maps and documents.